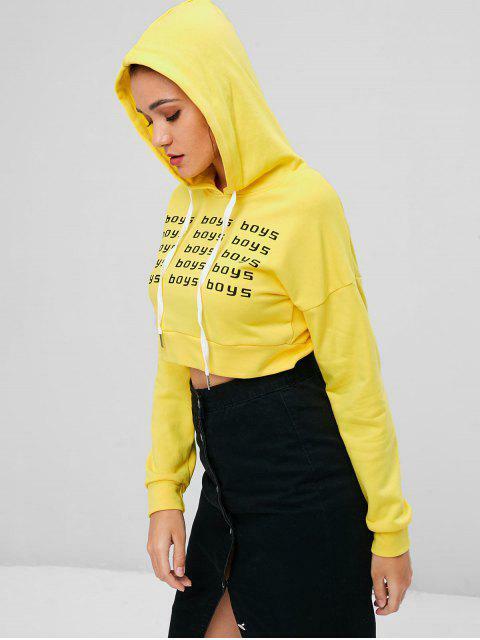 [45% OFF] 2019 Cropped Boys Graphic Hoodie In CORN YELLOW | ZAFUL .. When the sunshine of summer collides with the inevitable cooler temps of fall, you'll fit right in wearing this adorable bright hoodie. 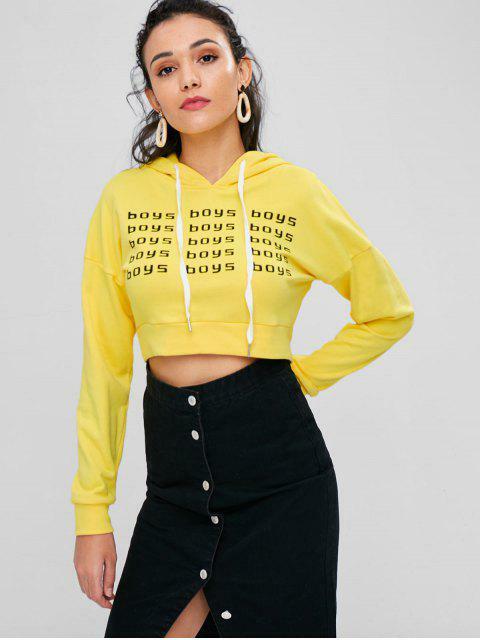 Designed with the relaxed, cropped profile for a little flirty yet sporty vibe and lots of lettering 'boys' logo for a dazzling graphic touch, this hoodie is the perfect casual-chic piece for your next trip! Contrasting drawstring at the collarline.